The post Opposition will not observe ballot paper printing: Mangwana appeared first on Zimbabwe Situation. 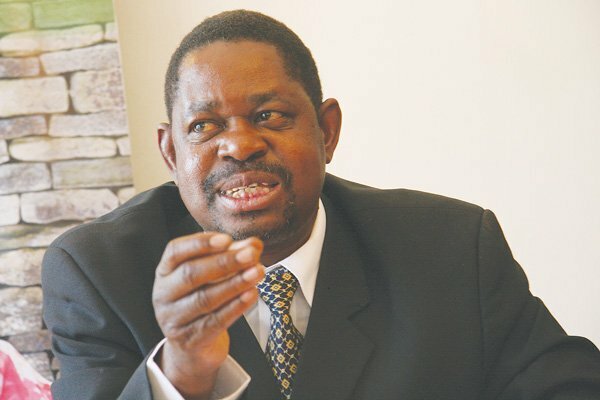 Zanu PF legal affairs secretary and party representative in the political party dialogue, Paul Mangwana (PM), has justified the presence of ex-military generals in the ruling party politburo. Mangwana spoke to our Senior Reporter, Blessed Mhlanga (BM), in a recent interview covering various issues including reports of division in the ruling party and the ongoing political dialogue. Below are excerpts from the interview. BM: Mr Mangwana, you spoke on the ongoing talks among political parties and you said among other issues these talks seek to bring in electoral reforms. What is the plan? PM: Zanu PF is in power right now, but through an electoral process, a good electoral process, but with room for improvement. So, we are simply saying we are engaging our political colleagues, listening to them to say which areas require improvement. We are also looking at how we can improve the BVR (biometric voter registration) process itself to make sure that the continuous voter registration process does not remove potential voters from being able to vote and any other areas the opposition parties are raising. We will look at them objectively. BM: The opposition has in the past raised the issue of ballot paper printing — they want to observe that process. Is it something Zanu PF would be okay with? PM: No, it’s not necessary, papers don’t change. There are certain things of a secret nature. Ballot paper printing is a security item. We have to have a measure of trust in the Zimbabwe Electoral Commission and ZEC is to be responsible to its constitutional mandate without interference. BM: There is this belief that Zanu PF has its hands in ZEC and that it is biased in your favour. Is that true? PM: That is not correct. ZEC is a constitutional body headed by a judge of the High Court. They are just doing their work, we don’t have access to ZEC just like any other political party. BM: How come you have never had complaints about ZEC when everyone else does? PM: There is a culture in Zimbabwe that if you lose an election you must complain to remain relevant, but Zanu PF is not made from that school. BM: You said that the process was not perfect. Do you mind to elaborate some of the things? PM: There is no perfect process in the world. There are always areas which require improvement. I have talked about the rights of the disabled, that we must find a way and I think one disabled participant actually said that we should be able to vote by Braille because the disabled person is being disadvantaged, they do not know (where their vote has been cast) because that person has a political preference. BM: You always speak about democracy within political parties. Is Zanu PF democratic? PM: Yes, it is, but there is a lot of requirement for improvement. In fact, democracy should start with the political parties and one proposal which we do have, which we also have to share with other political parties, is that it may make sense for the national electoral board to actually run the internal political processes of political parties like they do in South Africa. You have the electoral board managing internal political processes because if you don’t have democratic internal processes then you do not produce candidates who are liked by the electorate from an internal political party perspective. So we may need to change and improve the internal political processes. BM: If there is democracy in Zanu PF, how do you explain that towards end of 2017, President Emmerson Mnangagwa had 10 provinces passing a vote of no confidence in him and immediately when things turned around, he became the darling of Zanu PF? PM: I am not sure what you are talking about. RG (Robert Gabriel) Mugabe was manipulating situations to maintain his rule, but the people were unhappy and that’s why in a few months’ time they actually expressed themselves more properly and in fact indicating exactly what their preferences were, that is why they removed him. BM: How have you made sure that this system of people who are unhappy, yet claim to be happy does not repeat in this leadership? PM: The new dispensation has shown democracy — internal democracy from our primary elections as we move forward. There is a lot of freedom in this country. BM: But there was recently an incident when youths passed a vote of no confidence on certain individuals, but the no confidence votes were overturned. PM: No, it was not overturned. They were internal processes within Zanu PF and the committee, the legal committee, was asked by the party to look into how the votes of no confidence were carried out and they made their findings and reported their findings to the politburo. BM: But there are reports that the targeted people were saved because they are close to the leadership? PM: That is not true. We have a constitution and it is that constitution which must be complied with even in internal party processes. So, the role of our committee was to look into whether the processes as governed by the constitution were followed and we made our findings and made it public. BM: But do you accept that the same politburo before the new dispensation also gave the same defence that the processes were followed yet they were kicking out people in unfair hearings. Are you not following the same path? PM: It is not the same politburo. The politburo in the old dispensation was different from the politburo in the new dispensation. PM: It is the structure, but it is made up of different people. BM: So you are confident that this structure has changed? PM: The people who are running the party today are very democratic. This is why they removed Mugabe and his team. BM: There has been talk of divisions in Zanu PF. What is your comment? PM: There are no divisions in Zanu PF because we are a democratic party. People can have different views, but that is not division. BM: Are people allowed to express themselves freely? PM: Yes, they are; we are a very tolerant party. We know that not all people are the same. People have different views — we don’t think the same, we don’t see things the same, but that is not division. That is democracy at work. BM: There have been fears that some top Zanu PF officials who are now out of government are not happy and are working with parallel structures to government? PM: I am one of them (out of government but) I am happy. I am a very happy person. I am doing a lot of work for the party. I am working full time for the party. President ED Mnangagwa has made sure that party stewards run the party while these others are in government. So, everybody has something to do and everybody is happy. BM: Are you sure there is good synergy between the government and the party stewards? PM: The party is the one in charge, government is running government whilst the party gives direction and the two are working very well. BM: Recently, the spokesperson and your secretary for administration Obert Mpofu issued statements that were contradicting the issue of the 2% tax, saying it was not peoplefriendly, does that not show division? PM: They could have expressed an opinion, but the 2% tax is meant to collect revenue for use in addressing particular issues of a socio-economic nature which affects the people. Government needs resources in order for it to perform and the 2% tax is one of the means used, but I am not sure. I didn’t get the official statements from the party regarding that position. BM: May be if you would want to explain to me if a person wants to be in the politburo one needs to have come through the structures and served the party for quite a time, is that correct? BM: So, how did General Constantino Chiwenga and other members of the military serve the party when they were in the army? PM: People in the army, when they leave the army have a right to join a political party of their choice. So, Gen Chiwenga then joined Zanu PF and our constitution is clear it allows the President to nominate people to the politburo or even to the central committee. So, the constitution was observed. BM: But people without a track record of serving the party? PM: What do you mean by a track record? You can’t ask about a track record if you know the history of Zimbabwe. Zanla was the military wing of Zanu, Zipra was the military wing of Zapu. So, people who were in the military outfits of the party were members of the party. You have to share the ideology of the party, but whilst they are serving they don’t participate in party politics. But when they leave (the military) they are given a dispensation in order for them to be able to participate in higher echelons where they could not because of their service in the army. BM: So would this in any way confirm that Zanu PF and the army are one? PM: No, it’s not, they only participate in Zanu PF politics when they have left the army. BM: But you said it was a military wing of the party and for one to serve they must have the ideology of the party? BM: I am talking of history, they have a historical association with Zanu PF so they understand the ideology of Zanu PF. When they leave their services in the army they can fit into the party very easily because they have the grounding. During the war Zanla and Zipra were the military outfits of the political parties which liberated the country, but there was a distinction between the military and the political. I am only telling you that when they were serving in the military they were part of the Zanu and Zapu outfits so they know what these political parties are. When they leave military service they easily fit into the system because historically they were part of the system. BM: Lastly, maybe during central committee meeting the President said you were looking into means to ensure that you move the party to the future in terms of constitutional alignment changes. Could you favour us with the proposed changes? PM: That is a process which is going on and until we have reported to the structures of the party on what we are trying to do, I cannot share that with the media. BM: But generally what are you looking at? PM: We are reviewing our constitution — looking at it and seeing how it fits within the current developments in the party and also the world at large. BM: Do you agree that most of the people who have been serving the party for a long time are also outdated and have not moved to the future like the constitution which you seek to change? PM: No, the party moves together with the people because it is a people’s party so whatever is happening which affects the people also affects the party. BM: But the ideology that you had, you yourself in particular when you started in Zanu PF, is honestly different with the millenniums of this time. Are you in touch with it? PM: I am not sure what has changed, may be technology, but the basic ideology that we must be people-driven, we must serve the people’s socio-economic agendas, that has remained the same. BM: Have you been enjoying your job as secretary of legal affairs? PM: I have been extremely happy because I am able to direct government on legal reforms. I love legal reforms and that’s why I was leading the constitution-making process. Basically, we were doing legal reforms and now again I am involved in legal reforms, how the party can reform its own constitution and also propose changes to government in terms of the legislative agenda and that is work I enjoy very much and I am happy with that. The post Gweru City Council to develop master plan for growth, expansion appeared first on Zimbabwe Situation. 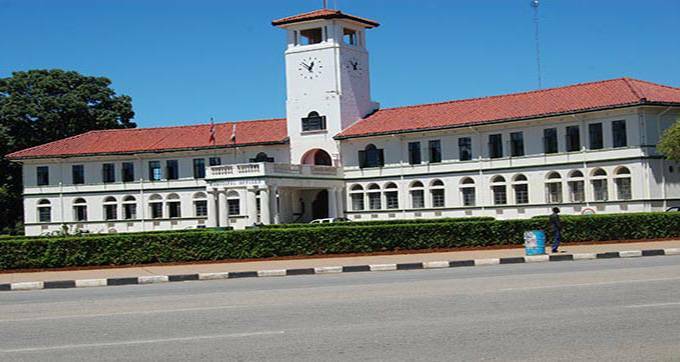 GWERU City Council is set to develop master plans to enable growth and expansion of the town, as the council works towards achieving its vision of being a sustainable city choice by 2030, Gweru Mayor Clr Josiah Makombe has said. On a speech read on his behalf by Deputy Mayor Clr Cleopas Shiri, during a service level bench marking meeting held last Tuesday, Clr Makombe said sprouting of peri-urban settlements was a result of poor planning. “Gweru City council is considering developing master plans to enable long-term planning for growth and expansion, taking into consideration population and capacity of council to serve that population. “The current mushrooming of peri-urban settlements in the city is partly attributed to absence of operational master plans. Master plans allow cities to plan for future growth and expansion, thereby planning delivery of these key issues, like water and refusal removal among others,” he said. Clr Makombe who is also President of Urban Councils Association of Zimbabwe, encouraged residents to take part in governance issues pertaining the city. Last year, a service level bench marking peer review report revealed that Gweru City Council was losing at least 57 percent of its treated water through burst pipes and leakages, as most of the city’s equipment has outlived its lifespan. The post Gumbo snubs ED & Zanu PF… opts to remain ‘in the terraces’ appeared first on Zimbabwe Situation. 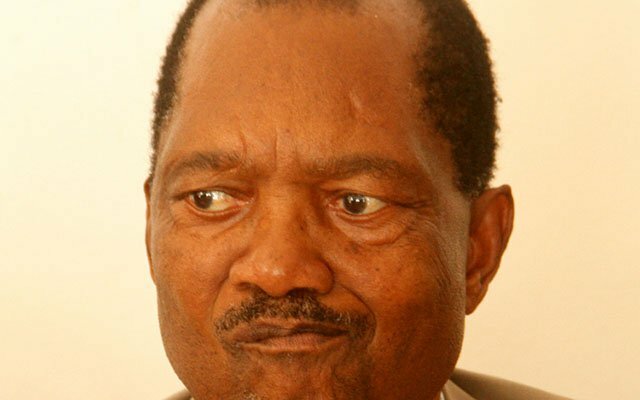 FORMER Cabinet minister and liberation struggle icon, Rugare Gumbo, has flatly refused to accept President Emmerson Mnangagwa’s invitation to re-join Zanu-PF – insisting that it was beneath him to re-apply for party membership of an organisation which he had helped to build. Gumbo – who was controversially fired from the ruling party in the run-up to Zanu-PF’s sham congress of December 2014, at the height of the party’s factional, succession and tribal wars – added that it was absurd for him to be invited to return to an organisation that he had been part of from his teenage years. As a result, the respected octogenarian told the Daily News on Sunday yesterday that he was happy to remain “in the terraces” and concentrate on his farming interests in his home province of Midlands – where he hails from together with Mnangagwa. Speaking in a no-holds-barred interview with the newspaper, Gumbo said categorically that he was not prepared to re-join Zanu-PF as a card-carrying member as he was among the party’s founders. He argued further that he had only been sacked from the party by former president Robert Mugabe because of Zanu-PF’s then unresolved leadership succession wars. “I am not concerned at all about re-joining Zanu-PF. Some have gone back but mumwe nemumwe anoita zvaanoda (we all have the right to do as we please). “I am enjoying myself in the terraces, and I am quite comfortable. I am off politics and I will not apply to re-join a party that I suffered for since I was a kid,” Gumbo told the Daily News on Sunday. This comes as Mnangagwa has been reaching out to many of his erstwhile Zanu-PF comrades-turned-political rivals – whose relationship with him was destroyed at the height of the ruling party’s deadly factional and succession wars a few years ago. Among the expelled Zanu-PF members who have since been re-admitted back into the party, as a result of this new initiative to reunite the former liberation movement, are former senior Cabinet minister and party secretary for administration, Didymus Mutasa, and retired securocrat Ambrose Mutinhiri – who briefly led Mugabe’s failed political project, the National Patriotic Front (NPF) last year. At the same time, the Daily News on Sunday’s sister paper, the Daily News, has also reported that Mugabe himself could make a sensational return to Zanu-PF – one-and-a-half years after the frail nonagenarian was swept from power by a military coup – if he accepts the party’s overtures towards him. Gumbo added that instead of him returning to active politics, it was time his fellow comrades in Zanu-PF also paved the way for a younger generation to take the country forward. He said the liberation war generation had played an important role to bring about independence, but now risked sullying its heroic contributions if it did not allow the new generation to bring in fresh ideas. “Independence is very important for the people of Zimbabwe. It is now a critical moment for reflection of what we achieved and missed. “We lost a number of people during the liberation struggle. The estimates put the number at 50 000, but it could be higher than that,” Gumbo said. “There are a number of things that we need to ask ourselves as we celebrate Independence Day. The economy is in a quagmire to begin with. “This means that we are not enjoying the fruits of independence, maybe because of commissions or omissions on our part as nationalists. “But there is no doubt that we have to take responsibility for our generational failure. We failed to mentor the young people to take over. “We nationalists don’t accept that we are old and should pass on the leadership baton. Zimbabweans deserve better than what we are getting now,” the forthright Gumbo. “The situation now is such that most of the people are going through hell. We must accept that we are old. “We must accept that young people should now lead. We should just let them take over. We need to empower the younger generation,” he added. Gumbo was sent packing from Zanu-PF in 2014, together with Mutasa and former vice president Joice Mujuru, at the height of the ruling party’s deadly factional, succession and tribal wars – on untested allegations of wanting to topple Mugabe from power. He is among the small remaining group of decorated liberation war heroes despite having a love-hate relationship with Mugabe during and after the war of independence. The former spokesperson of Zanu-PF said he and other members of Dare reChimurenga had clashed with Mugabe over the direction of the liberation struggle, leading to his barbaric detention in Mozambique, where he – together with other comrades – were kept in dungeons. “We were treated like dogs. We spent at least three months detained in holes dug in an open place which were closed from the top at about 5pm, only to be reopened the following morning. “The holes were six metres deep and four metres wide. It was hell on earth and we all thought we were going to die. “At one point the holes were filled with soil and only our heads were left protruding out. But we all survived the ordeal,” said Gumbo then. He went through that harrowing ordeal together with the likes of the late Henry Hamadziripi, former police commissioner general Augustine Chihuri, former ZBC chief executive Happison Muchechetere and Mukudzei Mudzi. The post Fund basic goods production, Govt told appeared first on Zimbabwe Situation. GOVERNMENT should consider re-introducing subsidies in the manufacture of basic commodities to stem the incessant price increases, retailers have said. Wheat and crude oil imports used to be supported by Government through provision of foreign currency to ensure low prices but reports suggest Treasury has directed the manufacturers to the interbank market. Industry and Commerce Minister Nqobizitha Mangaliso Ndlovu was not picking his mobile phone when contacted for comment. The call to support manufacturers comes as prices of basic goods such as sugar, cooking oil and bread have risen in recent weeks, largely in response to the surging parallel market rate of foreign currency. Last week, bread makers stunned consumers after increasing the price of a loaf to RTGS$3,50 from RTGS$1,70, while sugar was recently increased to RTGS$5,29 from RTGS$3,69. Cooking prices have similarly gone up to about RTGS$15 from RTGS$9. Price rises have seen the year-on-year inflation rate jumping to 66,80 percent in March, from 59,4 percent in February, although month-on-month remains in positive territory despite rising to 4,38 percent. In February, month-on-month inflation was 1,67 percent, having come down from 16,44 percent in October last year. 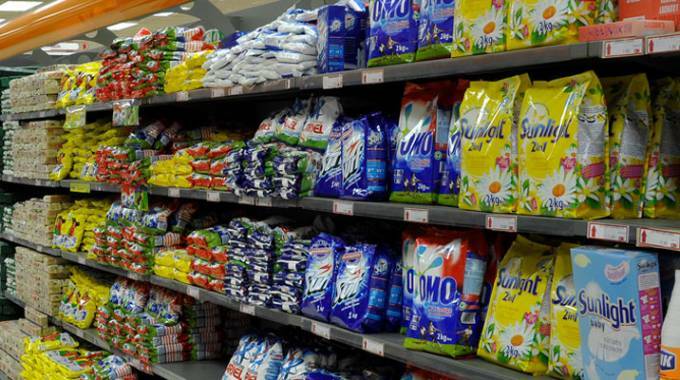 Confederation of Zimbabwe Retailers (CZR) president Mr Denford Mutashu last week said the rise in the price of sugar has affected several products that are made from the product. Mr Mutashu said it has become imperative that producers of basic commodities such as bread and cooking oil should receive foreign currency from Government through the Reserve Bank of Zimbabwe so as to cushion consumers. “Suppliers have increased prices, for example sugar, by more 120 percent over the last few months. Sugar is used both as a product at home and also in the manufacturing sector,” said Mr Mutashu. “. . . I remember a lot of basic goods manufacturers used to get a lot of support but right now, almost everyone is being directed to the interbank where sometimes foreign currency is not available. Mr Mutashu said Government intervention in supporting the production of basic goods would allow citizens to “continue to have a decent living”. Manufacturers have not said why prices have gone up but some have blamed the parallel market rate for foreign currency, for the surge in prices. The RBZ has expressed disgust at the speculative pricing by some wholesalers and retailers. RBZ Deputy Director for Economic Research Division Dr Nebson Mupunga, says traders “must play their part in ensuring fair business and pricing practices and desist from speculative tendencies”. Economist Mr Persistence Gwanyanya told The Sunday Mail Business last week that the price increases have “nothing to do with the (macro-economic) fundamentals”. “If money supply is not rising, what is driving the prices? There is no sensible, economically sound reason for the increases in prices other than just market manipulation,” said Mr Gwanyanya. “It’s just a few suppliers of foreign currency who are just hiking the rate of foreign currency. This is just speculative to me, it’s just rent-seeking because the monetary position has not changed. A number of analysts expect the current forex rates bubble to burst a few days after the Independence and Easter holidays, driven by low RTGS balances. Zimbabwe’s parallel market for foreign currency is thought to be dominated by “three or four” micro-finance institutions which market watchers say are “known to everyone”. has been acting chief for the past four years. and unity, Zimbabwe will triumph.